When you partner with a residential moving company like Red Carpet Moving Company, you know you will receive one-on-one attention so that we can create a unique plan of action that addresses your specific needs. Our residential movers are committed to providing household moving services to homeowners across the world, and we're standing by to help you find the solution that's right for you. Our team of residential movers is dedicated to total customer service, and our moving team is available right now to provide you with a full-service moving experience. 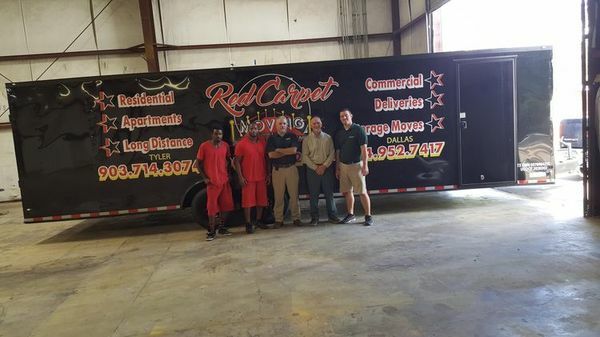 At Red Carpet Moving in Tyler, TX, we have deep knowledge of moving. Knowing something deeply is the key to doing it well. Moving is a great deal more complex than simply packing boxes, moving them onto a truck, taking them off, and putting them into a new space. Moving means things that can't be packed in boxes, it means artwork and antiques, large pieces.